Gibson Dunn | Scherman, William S.
William S. Scherman is a partner in the Washington, D.C. office of Gibson, Dunn & Crutcher and chairs the Energy, Regulation and Litigation practice group. 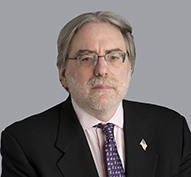 Mr. Scherman has served as general counsel for the Federal Energy Regulatory Commission and was chief of staff and senior legal and policy advisor for the FERC beginning in 1987. He advises companies on litigation, commercial, regulatory and legislative matters relating to the U.S. and international energy markets. He has litigated high-profile energy investigation and enforcement matters before the FERC and in the federal courts and represents large electric utilities before the FERC and state regulators. Mr. Scherman was a partner with Skadden Arps from 1993-2013. During his tenure at the FERC, he played a key role in major policy initiatives, including the Energy Policy Act of 1992 and Order No. 636, which reformed the natural gas pipeline industry. As FERC’s chief legal officer, he was responsible for the agency’s litigation strategy before federal appellate courts. Mr. Scherman has litigated dozens of cases throughout his career. During the last several years, Mr. Scherman has been heavily involved in very high-profile trials before the FERC involving rate, market power and market manipulation issues. He also utilizes his experience in market power issues in advising companies on mergers and acquisitions. Mr. Scherman is a frequent speaker on energy issues at various industry and government conferences. He is a member of the Keystone Energy Board, a prominent non-profit think tank that seeks bipartisan policy consensus on key energy and environmental issues, and regularly participates in the Harvard Electricity Policy Group. Mr. Scherman was the only private practice lawyer named to SNL Energy‘s 10 Most Influential People of 2014. The list features individuals who had significant impact on the electric power, natural gas and coal sectors over the past year. He is recognized as a leading practitioner in energy law in various publications including Chambers, The Best Lawyers in America®, America’s Leading Lawyers for Business and was named a 2014 BTI Client Service All-Star. In 2015, Mr. Scherman was recognized in the National Law Journal‘s first edition of Energy & Environmental Trailblazers as one of the leading lawyers dealing with the crucial intersection of energy and environmental issues. Euromoney’s Expert Guides named Mr. Scherman to its 2017 edition of the Energy and Environment Guide, which recognizes top legal practitioners in more than 90 jurisdictions. Mr. Scherman has published numerous articles, including articles for the Energy Law Journal, the Wall Street Journal, Forbes and the Energy Daily. Client Alert - January 22, 2015 | FERC Proposes Changes to Its Merger Review Process — Will They Take Regulation “Back to the Future”? Client Alert - March 7, 2014 | The Winds of Investigation Are Blowing in D.C. – Are You Prepared? ?